Mobile advertising’s lack of a cookie—a nugget of data that tracks consumers’ digital activity—is both a blessing and a curse. While marketers aren’t able to target consumers the same way they can on laptops, ad fraud also has been less prevalent. But now, with the growth of mobile ad budgets, sophisticated scammers are seeing a new lucrative opportunity. "Because you’re not dealing with cookies and because there are always other standards in mobile, it might be the next frontier for the fraudsters," said DigitasLBi CIO Adam Shlachter. In September, the IAB took a big step forward in cracking down on online ad fraud by launching a cross-industry accountability initiative and releasing a series of "Anti-Fraud Principles" for marketers, agencies, publishers and vendors. The principles zero in on desktop ad fraud, but importantly, they do not address mobile advertising—a market that the IAB estimates grew 92 percent year over year to reach $19.3 billion globally in 2013. The IAB declined to speak to Adweek about mobile fraud. Security firm White Ops estimates that online fraud is two to four times bigger than mobile, but the latter is a growing area of concern for publishers. There are a few ways that cyber criminals set up mobile bots, but the most common method requires someone to lie about how they are accessing the Internet. A set of code—called a user agent—shows if a bot is coming from a smartphone or a desktop, which then triggers an ad request for a website. As more publishers scour their sites for fraud, some suspect vendors are taking on mobile identities to cover their tracks. "That actually dupes a lot of targeting systems—just lying about their user agent strings does not require a lot of technical sophistication," explained White Ops CEO Michael Tiffany. Jonah Goodhart, CEO and co-founder of search and analytics firm Moat, added that some publishers are doubling their mobile inventory yearly, which can open the door to even more bogus traffic. "They find the cracks where there’s money," Goodhart said. Despite the new tactics, some publishers question how much money can be made off of mobile ad fraud, since the rates are generally much lower than desktop ads. "If I were going to try to defraud someone, I would be looking to inflate PC impressions because those are more sellable in the marketplace," said Brian Fitzgerald, president of Evolve Media. The future of mobile advertising is obviously bright, but publishers will need to be wary. "If the traffic that they’re picking up in mobile is potentially fraudulent and bot generated and crossed with other data online that is not pure, there’s an opportunity for more fraudulent activity," Shlachter said. 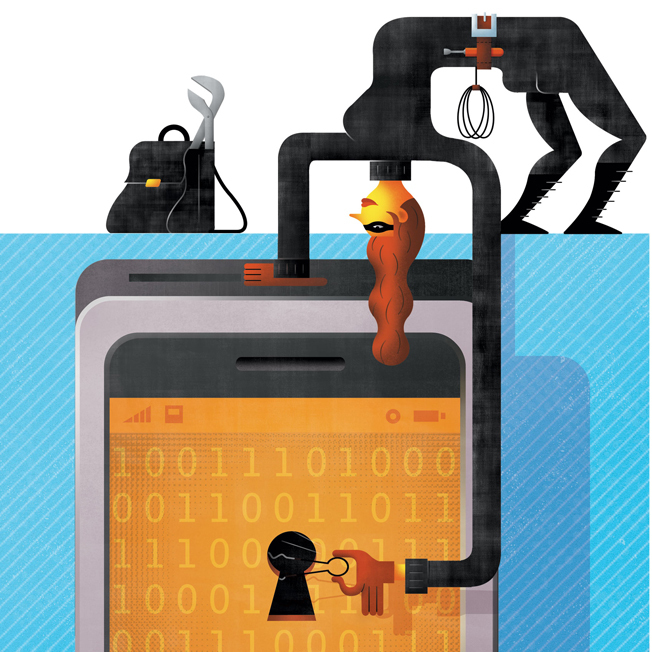 This story is part of a two-part series examining mobile ad fraud for Adweek's ad-tech issue. Click here for an in-depth look at the challenges and opportunities facing marketers with location data.